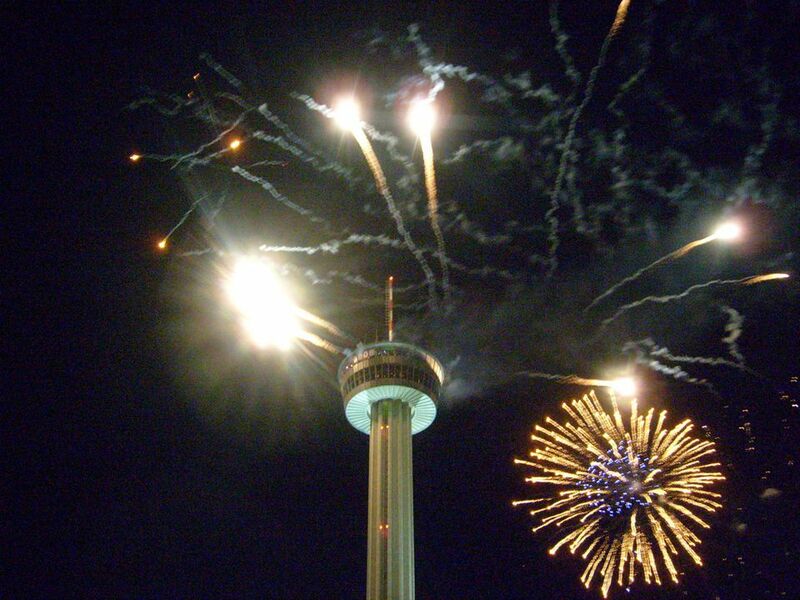 San Antonians gather en masse to celebrate the nation's Independence Day. From backyard cookouts to community-wide affairs, this southwestern city's residents and visitors find plenty of ways to enjoy themselves at the country's birthday bash. The city's top festivities include food, fireworks, and family fun. Each year, the San Antonio Parks Foundation hosts the city's official Fourth of July event at Woodlawn Lake complete with a huge fireworks display at 9 p.m. or just after the sun sets. The free family-friendly celebration begins at 8 a.m. and includes live music and dancing, carnival games and rides, mechanical bull riding, a 5k, children's activities, and plenty of food with more than 25 vendors and trucks. Arrive early to secure parking; if you cannot find a spot, look in one of the surrounding neighborhoods then walk to the festivities. Whether for a fiesta or Independence Day, you can count on Market Square to throw a good party. For three or four days extending around the Fourth of July, the historic square on Commerce Street plays host to musical acts, dancers, arts and crafts vendors, restaurateurs, and more. The largest Mexican market in the U.S., El Mercado extends for three blocks near San Antonio's city center. This celebration remains a favorite among locals before the fireworks show. The newest San Antonio Fourth of July celebration, inaugurated in 2017, takes place on the grounds of the historic Pearl Brewery, one of the city's trendiest restaurant, retail, and residential developments. This music-centric gathering hosts local and regional artists, with picnic fare provided by the neighborhood eateries. The Fourth of July picnic at Sea World includes an all-you-can-eat chef-prepared dinner and reserved seating at Ski Stadium for the dazzling fireworks show. The buffet includes backyard favorites such as barbecued ribs, chicken, and hot dogs; family-favorite sides including corn on the cob, Beanie Weenies, and mac and cheese; and an assortment of freshly baked desserts. The area's largest fireworks display—choreographed to a patriotic soundtrack—launches from the theme park beginning nightly at 9:15 p.m. in the days leading up to and on July 4. You must enter the park on a paid ticket to enjoy the nightly show, but you can pick up a free seating voucher to reserve the best viewpoint. The city's storied history makes a perfect backdrop for a celebration of Independence Day. Reenactments, readings of the Declaration of Independence, and musket demonstrations transport visitors back to the earliest days of the nation. Music by the Heart of Texas concert band underscore the patriotic mood. The Monte Vista Historical Association teams up with Landa Library to sponsor a Fourth of July parade that begins at the corner of Lynwood and Howard in the historic Monte Vista neighborhood. Prizes for the best child and adult costume, best non-motorized float, and best-dressed dog are awarded at the Landa Library Gardens festivities following the event.